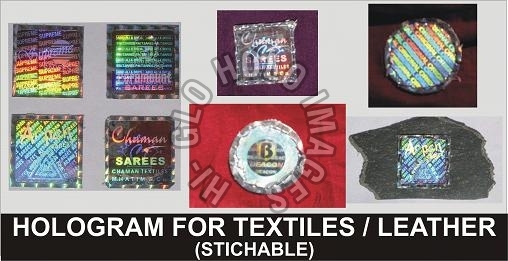 We own leading position amongst few of the largest Hologram Labels for cloth/ textile/ leather Manufacturers. We manufacture a complete range of high quality stitchable Holograms labels for cloth/ textiles/ leather. Our Labels are highly recommended for their incomparable quality. These special self adhesive labels are embossed on special film laminates as per client specified art work. We also present highly innovative Cloth labels & Tags. Our best quality Clothing Labels are supplied on huge scale and we are widely known as one most active Stitchable Holograms & clothing labels suppliers.